I love when a recipe I create ends up inspiring countless others. The reach one simple idea can have is so fun and I love seeing and playing with all the different possibilities. In the summer, I created a No-Bake Vegan “Cheesecake” recipe for a 4th of July celebration. 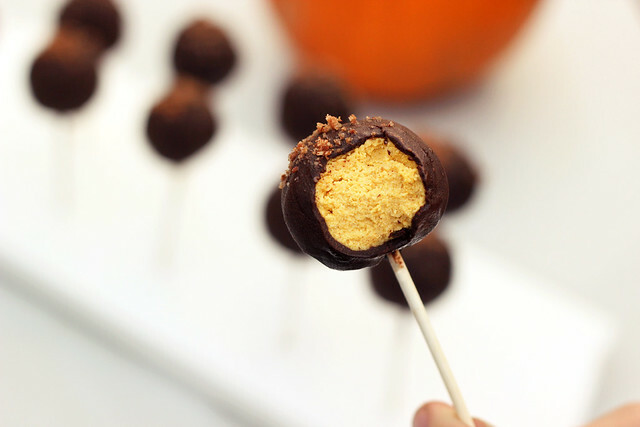 That recipe inspired Meg of Beard and Bonnet to create a delicious chocolate chip crust version and from there she created a Key Lime “Cheesecake” Truffle, that in turn gave me the idea of creating these delicious Autumn-inspired pumpkin spiced “cheesecake” pops! Phew! I love it. I can only imagine all that is to come from here with this idea. 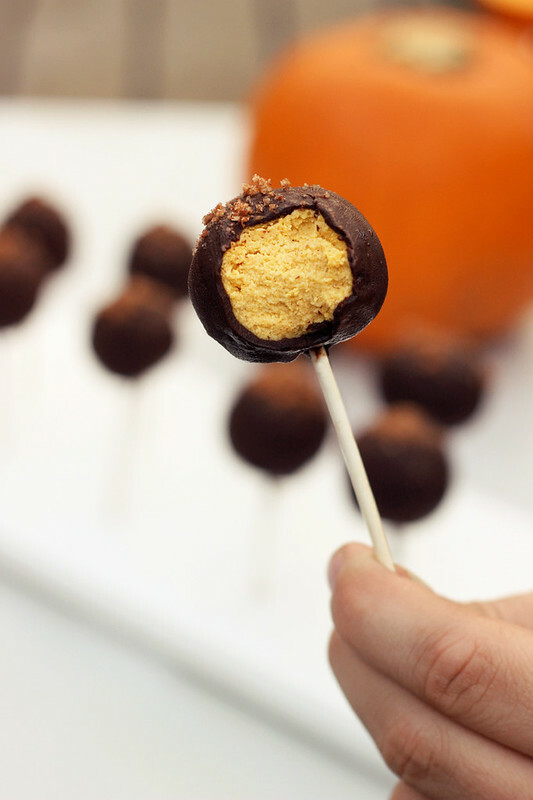 These Pumpkin “Cheesecake” Pops are not nearly as complicated to make as what the different groups of instructions below leads you to believe. They are quite easy. There is no baking required and it takes more time to wait for the pops to set, then to do anything else. I have served these to several non-vegan, non-gluten free people now. Actually come to think of it, besides myself, those are the only people that have eaten these. “Regular eaters”. Every last one loved them and they just couldn’t believe they were totally vegan and grain-free! 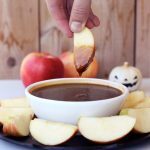 The filling is creamy and has a nice, but not overpowering, pumpkin spice flavor and the simple chocolate coating hardens quite quickly which gives a nice contrast to the creamy center. 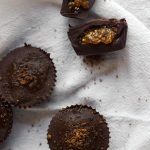 As these sit (covered) in the fridge for a few days after you make them, the outer chocolate coating will get softer, but it is still delicious, just a bit less crunch. Drain and rinse the soaked cashews. Place the raw cashews in a food processor or high powered blender with the remaining ingredients. Process until smooth and creamy, stopping occasionally to scrape down the sides and taste to see if you need to add anything. Scrape mixture into a shallow bowl or glass baking pan and place in the freezer for 1 to 1 1/2 hours, checking and stirring occasionally until the mixture is solid enough to form into balls. Roll the mixture into balls with your hands. Place the balls on a wax or parchment paper lined pan and place it back in the freezer. If they are a tad soft yet, give them another 30 minutes or so to totally firm up. You may want to reroll them in your hands one last time when they are really firm, to get them totally perfect and smooth, if need be. Don’t worry if they aren’t perfect. The chocolate hides a lot and they tasty so good, the shape really doesn’t matter. Once the cake balls are ready, if they feel firm enough all the way through (you want them firm enough that they won’t turn to mush but not too firm to where you can’t get the stick in), insert the lollipop sticks into the balls part way, don’t go too far. After you place the sticks in them, I find standing them upright into styrofoam (or one of those fancy cake pop holders), so they don’t get too mushy or misshaped. Place them back into the freezer or fridge while you prepare the chocolate coating. If the sticks are in, you can leave them covered in the freezer for a day or two, if you want to make them ahead of time. If you are moving right to the melted chocolate, the fridge should be fine. ** If you have a nifty cake pan thingy, you could try forming these in there and just freezing. I don’t have one, so I have no experience myself, so I can’t say for sure that it would work. I’d love to hear from anyone that experiments. Get a double boiler set up with a small glass bowl over a pan with water. Add in the coconut oil and stir until it is melted. Add in the maple syrup and vanilla. Sift the cocoa powder into the mixture and stir until it is is all well combined. Immediately remove the pan from the heat, you don’t want to scorch the chocolate or have it seize up on you. Remove the cake pops from the freezer. 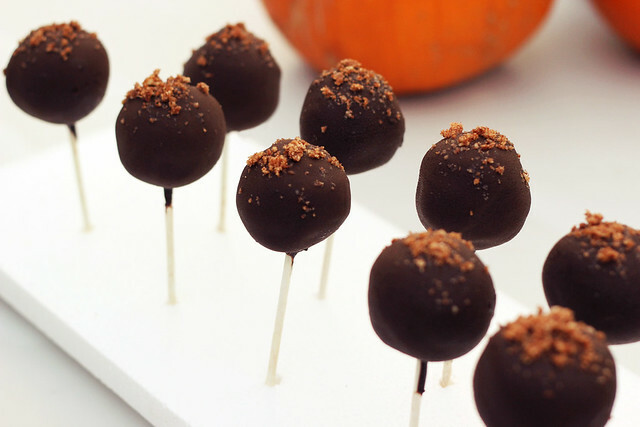 Start dipping each of the cake pops into the chocolate, twist and turn the pop in your hand to allow any excess chocolate to drip off, sprinkle some of the cinnamon crunch topping (recipe below) on top, then stand it back upright. The chocolate should harden almost immediately on the pops. Continue coating all of the cake pops. If the melted chocolate starts to cool off, very gently heat it back up over the double boiler. Store these in the fridge until just before you serve them. Oh yeah… I am in love with these! They put my key lime truffles to shame. Thanks for the link love:) I am going to have to make these ASAP. These look incredible. I cannot wait to try them! 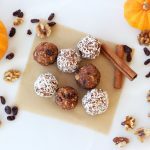 I love when fall comes around and we get to see all the pumpkin recipes on our favorite blogs. =) Thanks for sharing! These look AMAZING! Beautiful photos too. Pinning! Wow these look delicious. Can’t wait to try them myself. I am obsessed with all things pumpkin! I’d love to try these with a butterscotch coating too! Thanks for sharing the recipe! Oh my gosh I need these! I think I might make mine in bars though, I have bad luck with pops, lol. At the very begining of the recipe instructions it says, “place the raw cashews and the remaining in a food processor or blender with the remaining ingredients.” By “remaining” (the first one) you mean water? Hi. In the same sentence it says: ” Process until smooth and creamy, stopping occasionally to scrape down the sides and taste to see if you need to add anything. If you needed to add anything, how would you know, and what would you add? I made these in a silicon canneles mold. Let them freeze to the ball making point. Unmolded them and added the stick and froze again on a baking sheet. Worked perfect in the mold, a bit larger portion though, certainly a full dessert. Yummy! For the pumpkin filling, are the 6 tablespoons of coconut oil supposed to me measured at room temp or melt it first then measure? Thanks! I ended up using it in the solid form. Just formed my balls and they are in the freezer. 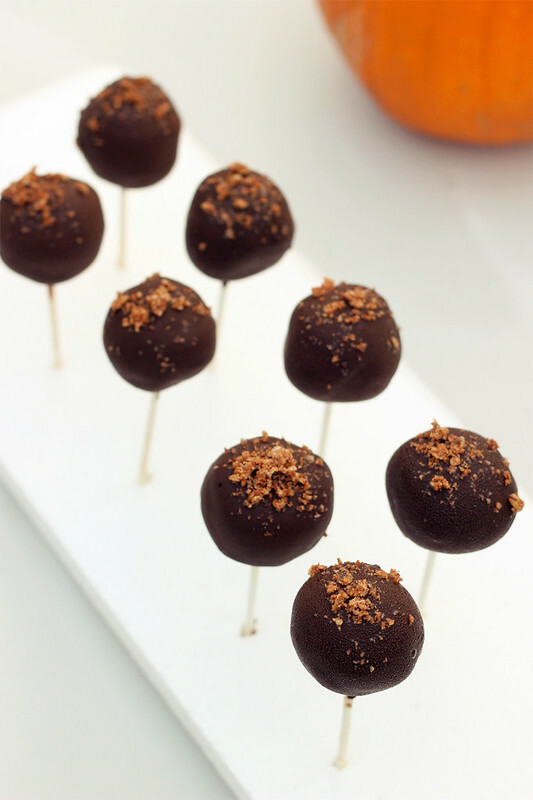 I am going to make them as truffles instead of cake pops. Can’t wait to take them to my paleo friend’s party tomorrow night. 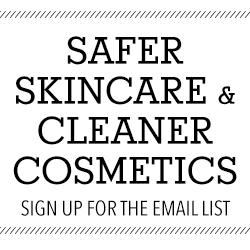 I am so glad I found your website. 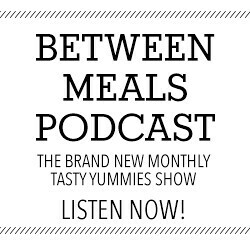 Great recipes!! I will love to make this. I already have some homemade cashew cream. How much should I use? Hi Sariana, I unfortunately cannot give you that answer to that question, since I have never made these with already made cashew cream, only with the freshly soaked cashews using the measurements above. I would be afraid that with it already being made, there is no way to account for how much liquid is in your cashew cream and it could not turn out quite the same. Sorry I can’t be of more help. These are amazing! I love that you can make these ahead of time and freeze them. 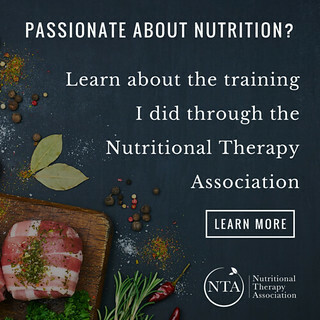 Talk about inspiring others, since I loved this recipe so much, I was able to create a few different desserts with it. Since I had leftover chocolate coating and fresh fruit, I used it as fondue, and even saved some chocolate covered strawberries in the fridge for the next day. Then, I realized I could use ice cube trays, baking pans, and muffin tins to change the shape, which is fun for kids, and the variety looks great on a plate, too. I’d been looking for dark chocolate that was free of common allergens, refined sugar, and additives for so long, and here it is! I can’t thank you enough. 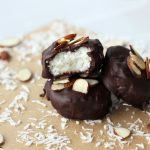 I also challenged myself to turn the pops into a double chocolate whammy, so I created Dark Chocolate Coconut Truffles. So, I’m so glad I stumbled upon this recipe. Keep up the great work! 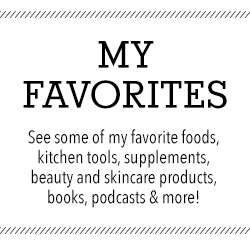 FYI – I focus on food allergen/grain/dairy/sugar free recipes. 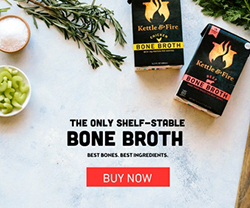 They are usually Paleo friendly. 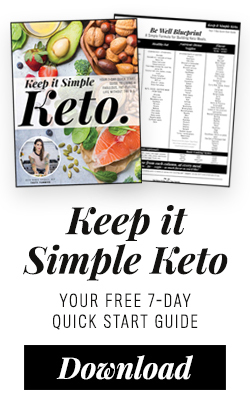 So many people think Paleo and vegan are miles apart, but when it comes to preparing veggies, they have a lot in common. I love to connect the dots between the two. Makes cooking a lot more interesting! Best of luck to you, Beth. And thanks again!